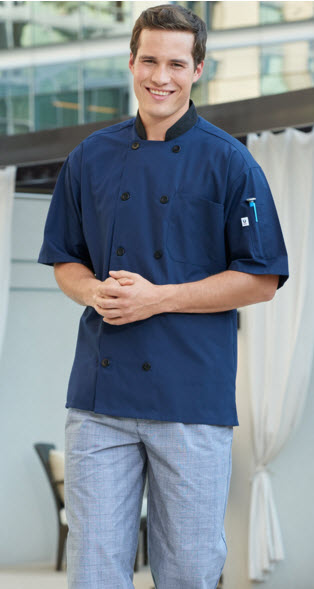 You want your cooks to look good and feel good, so make both happen by choosing the Havana Moisture-Wicking Chef Coat from Sharper Uniforms. The short sleeve design features a unique moisture-wicking material that helps keep your chef dry and comfortable even when things heat up in the kitchen. The lightweight poly/cotton blend coat made to wick away sweat and the short sleeves offer excellent ventilation. You can't ask for a better garment in a hot kitchen. This wicking chef coat is also extremely practical and is packed full of features your chef will love. It has a mitered breast pocket, with another on the left sleeve for a thermometer, pen, or other implement. It's also stylish and comes in several colors with a contrasting collar for an added pop of interest. 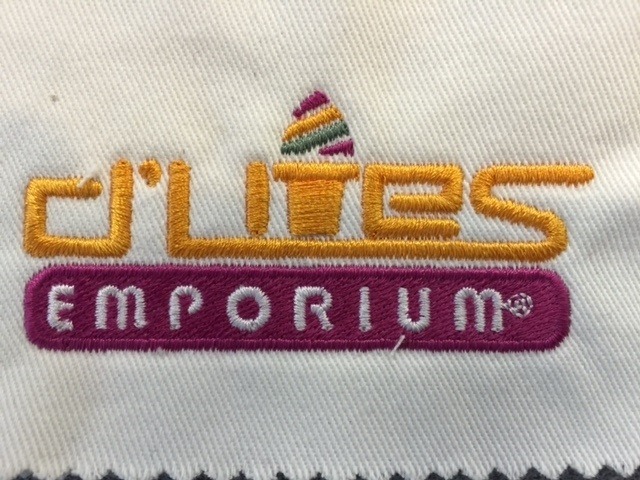 Five pairs of buttons down the front further contribute to the professional look and feel of the design. 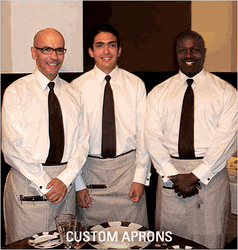 The Havana Moisture-Wicking Chef Coat is fully customizable. 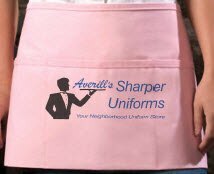 Add a name, logo or other design to represent your establishment and to help your kitchen staff stand out. 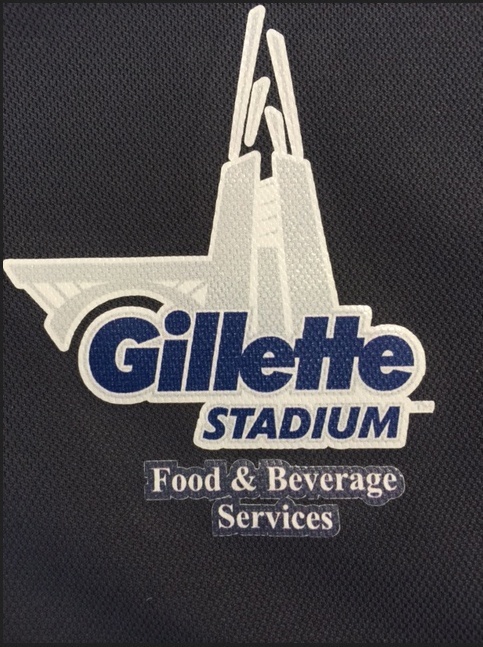 Choose among embroidery, heat seal transfers, or screen printing to bring your designs to life. Fabric: 65/35 poly/cotton poplin, Easy-care - 5.25 oz.